General Patton referred to the M-1 Garand as the greatest battle implement ever devised. If it was good enough for old blood and guts himself, then it is good enough for me. The M-1 has long been my favorite rifle. There is something about the stock, the kick and even the nostalgia surrounding the gun. It is a beautiful firearm, and deadly accurate and I just cannot say enough positive things about this rifle. This article is going to look at some of the history, different variants, as well as current day applications for the rifle. It is going to talk about many of its great uses, and why every American should try to get an M-1 before it is too late. This rifle holds a special place in American history, as it served along side our military for over three decades and saw action during World War II, Korea and Vietnam. John C. Garand is the brain child behind this beautiful piece of military hardware. A Canadian born engineer who worked for years with the Springfield armory, in Massachusetts. He developed a long stroke, gas piston operated semi-automatic rifle that was top fed loaded and would carry up to 8 rounds at a time. This was far superior than any other rifle of the time. Most militaries were still using bolt action rifles that held five rounds. The M-1 Garand was not only semi auto, but the 30-caliber round would pack quite a punch. This made it the easy favorite during testing and beat out all other competitors for the contract. 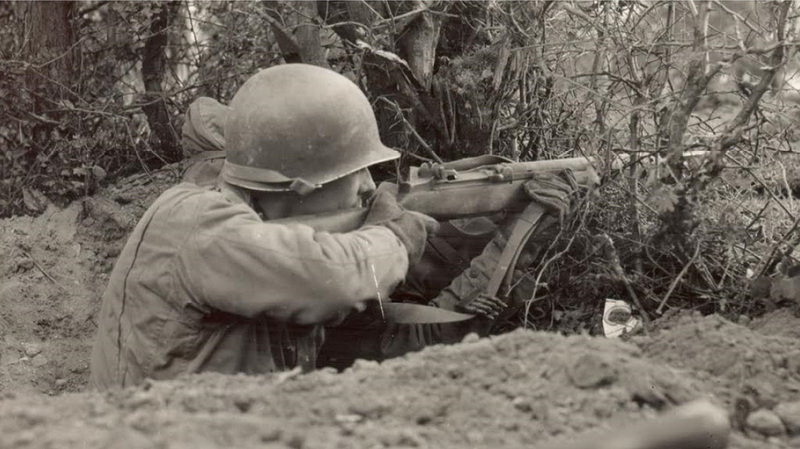 The Army officially adopted the rifle as the main battle rifle in 1937. This is when mass production began, and it wouldn’t take very long until this rifle would be battle tested. After the U.S. entered the war in 1941 following the attack on Pearl harbor this gun was being massed produced across the U.S. and a number of companies were involved in the production. The first company to produce the M-1 was none other than Springfield Armories. This was before the war was in full effect, but after the U.S. economy began shifting towards war time economy, another gun manufacturer began to produce them. This time Winchester Repeating Arms began producing the guns. All in total the two companies would produce over four million guns throughout the war. These were not the only two companies that produced the iconic M-1 Garand. During the Korean War, the U.S. military once again had a high demand for the M-1, so once again the U.S. economy helped out and massed produce the Garand. This time Springfield was the primary contractor for the job, but also had help from international Harvester Corporation as well as Harrington and Richardson Arms. All in total another one and half million M-1 Garand’s would be produced during the Korean War. This would be the end of mass production for the M-1, but it wouldn’t be the end of the guns service. It would continue to serve as a battle rifle in the Vietnam war. Also, several U.S. allies picked up the rifles and used them for their own military. Some countries like Greece used them up until the 1980s. Also it was the platform for the M-14, which if you look at it, you can see the resemblance of the M-1 Garand in its overall build. The M-14 is still used in very specific circumstances in the U.S. military today. What makes this the greatest warfighting tool ever made? Not only did it receive the highest praises from General Patton, but also several publications have dubbed the M-1 the top infantry rifle. Besides being made from beautiful walnut, what does this gun have to offer to your basic infantry soldier carrying it from the beaches of Normandy, the sands of Iwo Jima, up to the Vietnam War? The M-1 Garand with its walnut stock and steel parts weighs in at 9.5 pounds. While this is heavy compared to todays rifles, it was part of the beauty of the gun. This rifle was a solid work horse for the U.S. Military. The rifle was designed to be simple and built to last. It could easily be field stripped and cleaned without the use of any specialized tools or equipment. It is a gas operated system (similar to the AK47) that allowed the rifle to fire the powerful 30 caliber round. It was effective up to 1000 yards and some even say up to 1200 yards. It shot in semi-automatic and was the only massed produced semi auto of the second World War. This gave a significant advantage to the U.S. military during the war, and it would help to turn the tide of the war in the allies’ favor. It also had an 8-round en bloc clip which was three extra rounds when compared to most other militaries during the war. This was another advantage when it came to infantry tactics. The U.S. military could shoot more rounds, faster and longer than any other army during the war, which would serve the U.S. The M-1 Garand was top loaded. This meant that the soldier would take the 8-round clip and insert it into the top of the rifle and push down. When the round was inserted the bolt would slam forward and seat the first round. After the rifle had expended all 8 rounds the en bloc clip would eject itself and the soldier could reload. This made reloading the rifle easier and faster than all the other rifles of the time. The M-1 Garand standard issue was a basic cleaning kit, and while it could be easily stripped in the field, the basic kit came with essentials to keep the gun in tip top shape. The rifle also came with a bayonet that could easily be attached to the front for hand to hand combat. Most soldiers were issued two bandoliers that could hold six clips each, so the average soldier carried almost 100 rounds of ammunition for the fight. Besides the regular rifle model there are a number of different variants that were developed. Many of these rifles are very rare collector pieces and can go for a lot of money at any gun auction. The first variant was the sniper variants. Most people tend to be extremely excited when they see an M-1 sniper variant as they were scarcely produced, and to find one in excellent condition is difficult. The M-1 Garand alone was a very accurate rifle, the ballistics on the round as well as the rifling allowed the U.S. military to take shots up to 1000 yards with open sights. The sniper variants were meant to help the military use telescopic power and to match the German and Japanese sniper rifles. The sniper variants proved difficult to make, due to the M-1 being a top loaded firearm, but the U.S. military did produce two different sniper variants with limited success. The first involved tapping into the receiver with drills and tools so that a telescopic scope could be added to the gun. This was dubbed the M1C. While this allowed the scope to be mounted it would sometimes warp the receiver which would reduce overall accuracy. The second sniper rifle created was the M1D. This was a much simpler design as it only used a single ring that attached to the barrel. Then you could attach your scope to the ring, allowing for zero interference on the barrel. This development didn’t take place until 1944, so there were very few M1D’s that saw combat in World War II. Outside of the sniper rifle there were a few other variants that saw limited action or never made it past the experimental phase. These rifles are very collectible and you can find a list of them here. Some of these include an M1 variant that was made with a fiberglass stock. This was meant to cut down on the overall weight of the stock. There was also a tanker version, that was specially made to accompany a 20 round BAR clip. This rifle never made it to production but would be a key piece in developing the M-14. The collector M-1s can cost a pretty penny but there are two that sold for over $100,000. The first was a Civilian Marksmanship Program rifle that John F. Kennedy used. There was nothing out of the ordinary for this rifle, except for the owner. The second was a prototype of the M-1 Garand. This rifle was known as the T3E2, and it sold at auction for$172,500. It would be the most expensive M-1 ever sold. Even eight decades later there is still a high demand for the M-1 Garand. Many collect these relics of history and they still are enjoyed on the range today. The Civilian Marksmanship program is the biggest advocate for the M-1. You can purchase firearms through this program, and they even have M-1 Garand tailored shooting matches. When looking to purchase through the CMP there are some rules and applications that you must apply to. First you will need to make sure that your local state laws will allow you to purchase the gun. You could also visit the store in Anniston Alabama to pick out your own M-1. Once at the store or purchased online there are a few different levels of firearms. The first is the field grade, these are considered in fair to good condition. These rifles have been refinished or rebuilt once during their service. This could include parts from different manufacturers and you should expect a number of bumps and dents on the stock. Then there is the service grade rifle. This is slightly better quality but will also cost you more. There may be some replacement parts on this rifle, as well as hairline cracks and dents. Then there is the correct grade. These show limited wear and use. They are only available in limited quantities. The highest-grade rifles are the collector grade rifles. These saw almost no use in action and maintain pristine quality. They come with all original parts from the manufacturer. They may have some minor dings or scratches, but in general are in perfect condition. 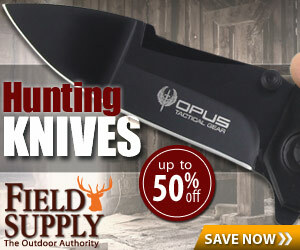 These are extremely rare and are only available on the auction website through the CMP. I have even met a few people that choose to hunt with this rifle. Giving homage to the traditional iron sights and relying on the powerful 30-06 round. You can shoot commercial hunting rounds through this gun and I believe you will be rather impressed with the accuracy of these old guns. There is a number of things that you can do with this rifle. Whether it is collecting, shooting, competing or hunting this is truly a rifle that has stood the test of time. If you don’t own one, now is the perfect time to invest in a piece of American history while you can. They seem to be selling quickly and it is only a matter of time before the CMP sells out of rifles, and then you will have to find private sellers. As an owner of two I can tell you that many people are not looking to give up their M-1s. The M-1 is battle tested. Having served throughout the second World War, seeing action in both campaigns to the frozen tundra of Korea, and the dense jungles of Vietnam there isn’t a thing this rifle cannot do. That is why they are loved by military enthusiasts and collectors a like. Outside of their collection value, it is a solid built rifle. The M-1 Garand is Very accurate at long distances, and a wonderful rifle to have. I recommend to any one, before buying an AR-15 or some other modern rifle, invest in one of these pieces of history. They are great collector items, and one day you can pass down the rifle carried by the Greatest Generation to your children.